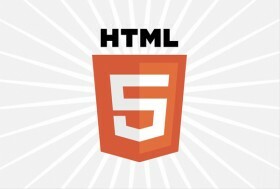 JohnnieFromTheBlog – Apple were right all along about HTML5? I think by now we all have accepted that we will never see Flash support integrated into iPhone or iPad without jailbreak. I guess almost everyone knows Apple’s attitude towards Adobe Flash and how hot the debate has been. Apple have for years claimed Adobe Flash to be bulky, resource demanding and an obsolete technology soon to be outperformed by HTML5. Therefor Apple said they stick to support for HTML5 on iPhone and iPad. Now I read every other day about new HTML5 developing tools and how company giants like Microsoft, Google and IBM has gotten involved on big scale also. Even Adobe themselves implement HTML5 features into their products, such as Flash to HTML5 converter among other things. I think it’s safe to say that Apple were right all along. ← No iPhone 5 during 2011?